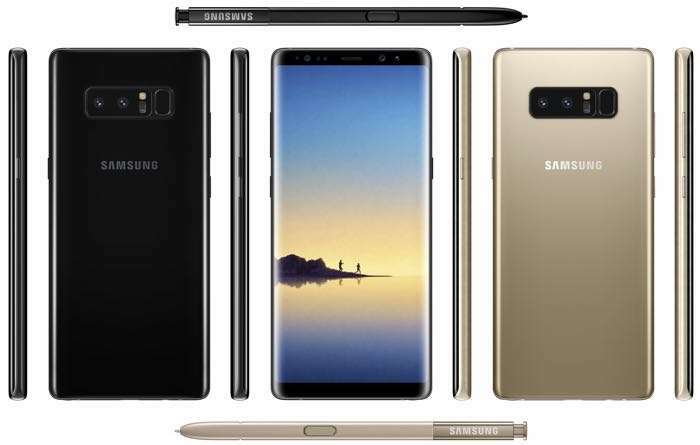 It looks like the new Samsung Galaxy Note 8 could end up being an expensive handset in the UK, the guys over at the Inquirer discovered pricing for the handset from the Carphone Warehouse. The unlocked version of the Samsung Galaxy Note 8 will apparently start at £869 in the UK. The device will also be available on a range of monthly contracts with various carriers. Contract prices for the handset will apparently start at £49 a month with a £59.99 up front payment, there will be lots of different monthly contracts available. We already know many of the specifications on the new Samsung Galaxy Note 8. The handset will come with a 6.3 inch display and will be powered by either a Samsung Exynos 8995 or Qualcomm Snapdragon 835 processor. The handset will come with 6GB of RAM and 64GB of storage as standard, there will also be 128GB and 256GB versions. The new Samsung Galaxy Note 8 will feature an 8 megapixel front camera and two 12 megapixel rear cameras. Samsung are holding a press event for their Note 8 later today, we will have more information about the handset when it gets official.